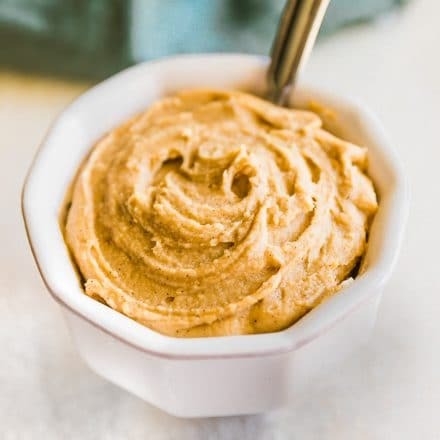 A Simple and Easy way to make Vegan Maple Cashew Cream Cheese Frosting! 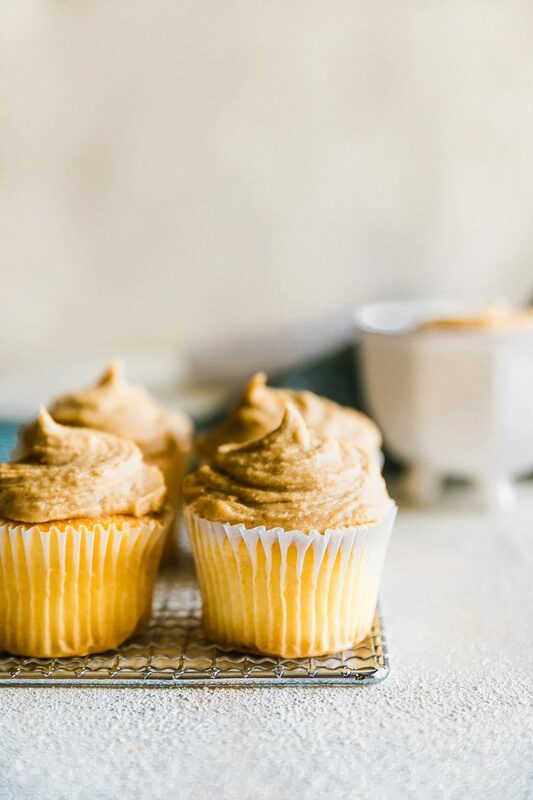 A Paleo friendly and delicious dairy free cream cheese frosting alternative. So I guess this is dessert week, because this maple cashew cream frosting recipe is basically a dessert itself, just grab a spoon. No shame, no stress,. But seriously, we’re rockin the maple, dates, and unrefined natural sugars in October ya’ll! It’s allllll good! Thank goodness my love for junk-ified frosting has died down. Otherwise I might have a bajillion cavities by now. Right? And I’d also like to thank my seasonal allergies and constantly trying to improve my gut health for expanding my “dairy free and vegan” horizon! Hence this vegan maple cashew cream cheese frosting! It’s cinnamony (that’s a word), it’s rich but light, it’s just plain divine! 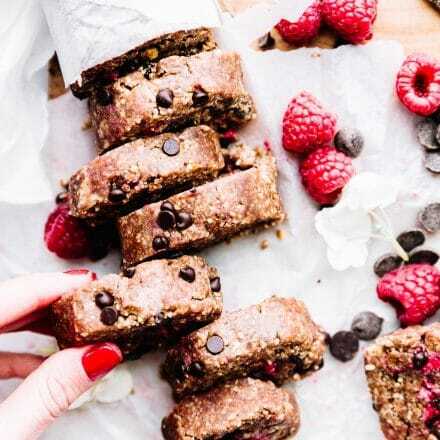 Hey, sometimes limiting dairy and eggs can bring you into a whole new world of sweets and baking. I’m always up for that challenge. This challenge isn’t only for myself, it’s for my niece as well. Heck it’s for all those who also have to limit dairy or eggs or casein. Those pesky food allergies, gah, sometimes they just make being a kid so hard. But have no fear because the magic of CASHEW cream is here, dairy free deliciousness! 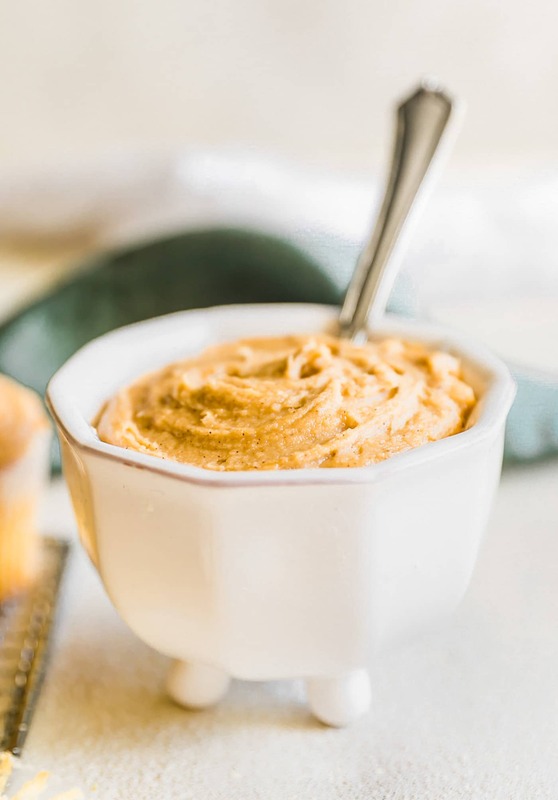 Yes –> EASY PEASY vegan CASHEW Cream cheese frosting. All you need is a little natural sugar and spice and we blend it all nice. Haha! Let’s do this! First soak your cashews in purified water for 1-2 hrs. Next remove cashews from water then combine cashews and vanilla in food processor or blender. Blend on and off again for 5 minutes. Scraping sides. Once smooth, remove from processor and stir in remaining ingredients. Stir/Mix until thick like texture frosting is formed. This makes a small 1/2 cup batch. Feel free to double for more! Store in fridge until ready to serve. Thaw out for 20 minutes before spreading onto cakes or muffins. Nutritional Nerd Alert You didn’t think I’d forget this part, did you? Sure, soaking the cashews and then blending into a cream with a little maple, cinnamon, and extracts equals AMAZINGNESS! 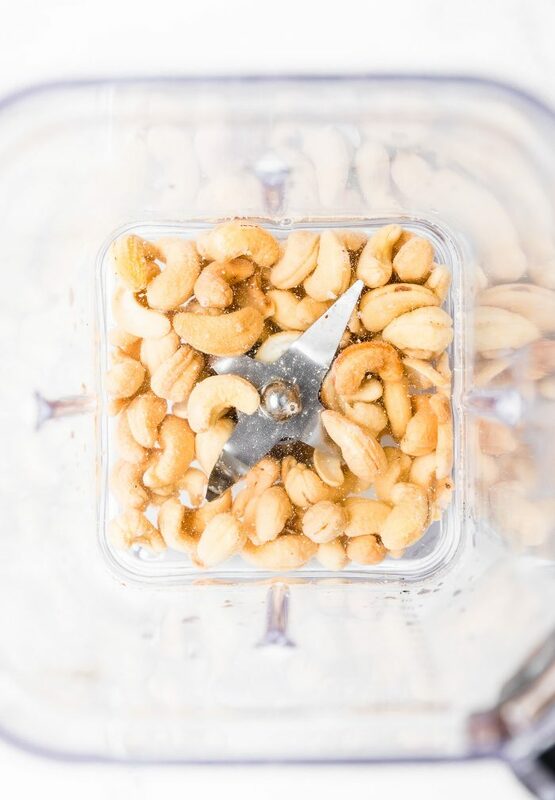 But… did you know that soaking the cashews makes it easier to digest and absorb nutrients? 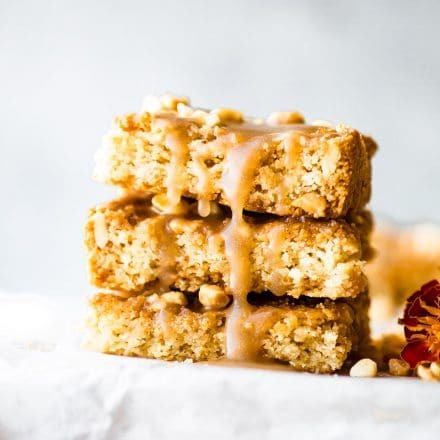 I didn’t ever think the words frosting and nutrient dense would go together, but with this cashew frosting, THEY SO DO! Okay lovelies, be sure to save this recipe for the upcoming holiday season! 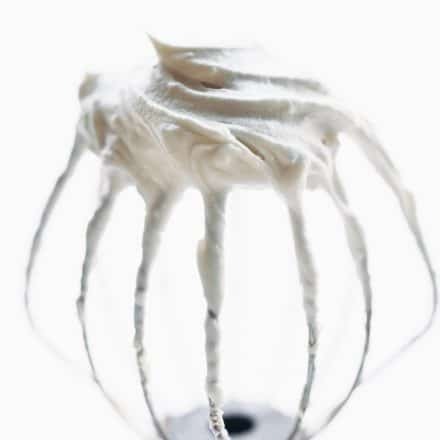 Try out cashew cream cheese frosting on cakes, mini cakes, muffins, waffles, cupcakes, etc. I don’t think you’ll be disappointed. If my dairy loving family and friends approve, then I know you will too. And your tummy might thank you. Just don’t eat it by the bucket full. 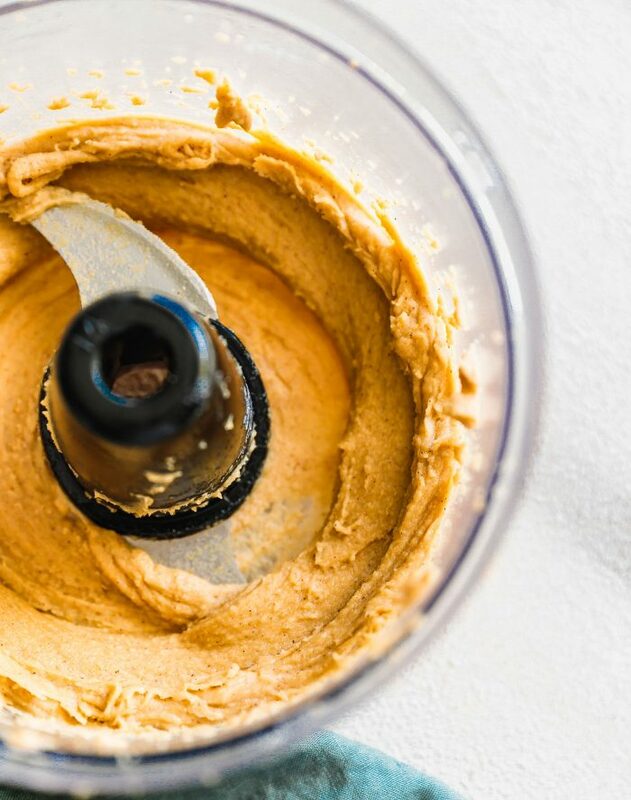 Ever made a vegan cashew cream or cream cheese frosting? Have questions about this recipe? Send me an email. Let’s discuss! I love this so much! 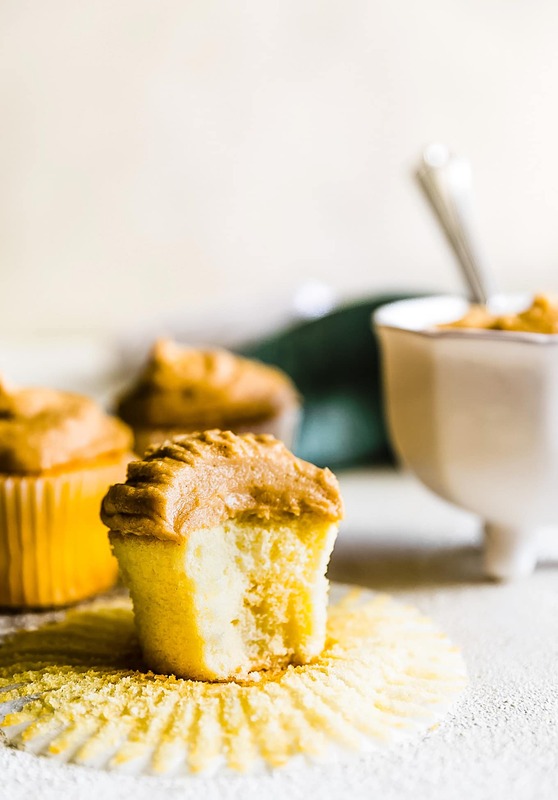 I’ve been looking for a paleo frosting recipe to top a spice cake and this one sounds delish! Would other nuts work as well as cashews? Just curious. which nuts do you have? You could try almonds! Let me know if so. I have pecans and almonds. I will probably try almonds. I will certainly let you know! Do you have any idea how lond this frosting last in the fridge? Would be so much easier for me to make it some days in advance, but not sure how well it stores? Have you tried it without the cinnamon? I’m allergic to cinnamon (and dairy, and avocado, and bay leaves, etc etc). 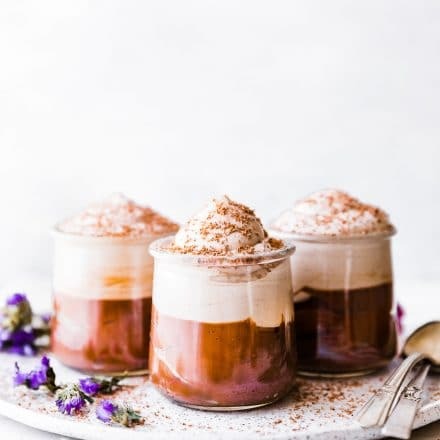 This could be a great alternative for sweet treats, but if the cinnamon really gives it the oomph, I’ll have to figure out something else. Thanks!! Very nice vegan recipe, I make it at home and loved it. Thanks for sharing such an awesome recipe. 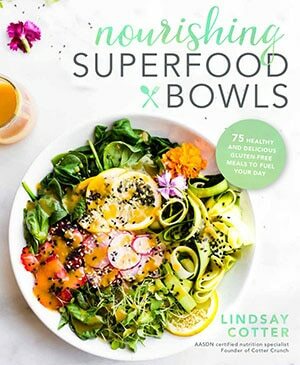 Please share some more vegan recipe. 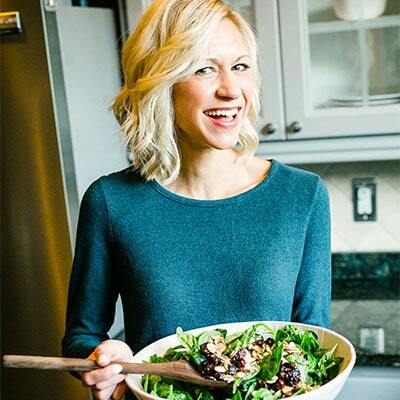 I used your frosting on my grain free zucchini loaf…AMAZING!!!! I put links to your recipe in my post, it was seriously good! So glad I found your recipe!!! Of course, this is amazing!! Love cashew cream!! Especially on cookies–hehe! Helloooooo, perfect fall (and anti-cavity) frosting!!!! I am looking for an alternative for cream cheese for my Thanksgiving Pumpkin Cheesecake, and would also like to know where to get raw cashews besides the local grocery store. Their prices on raw nuts is off the chart. let me know if you try it Theresa! I never knew vegan frosting could be so delicious!!! This is wonderful!!! you can eat it by the spoonful, no lie! This sounds amazing- and I can’t wait to put it on top of some cupucakes!! Oh my goodness, I LOVE anything maple! This is such a wonderful frosting idea for fall. The combination of maple and cream cheese is fantastic because it symbolizes breakfast–add some maple syrup on a cream cheese bagel or cream cheese on top of pancakes with maple syrup? Those are great and all, but THIS recipe is all next level! I knew you could appreciate! Maple & cashews? Just pass me the bowl with a spoon! I don’t even need this to be frosting. Just pass me a spoon. OMG, these cupcakes are the cutest EVER! I’m team frosting all the way. Bring on this dairy free goodness. This looks so creamy and fantastic! I’m so happy and surprised with how this turned out, by far the best vegan cream cheese I’ve ever had and the easiest to make for sure! Love love love it!!!! oh wonderful! so glad Christy. Thanks for feedback!